Czechoslovak mince/grind core legend ABORTION was one of those bands to perform at the very first volume of Obscene Extreme Festival in 1999. And it is as clear as day these veterans will not be missing at the 20th anniversary volume. Naturally! Maybe we will also be pleased by a new album that has been already recorded but the release of the physical disc itself is being delayed a bit. The album to follow their well-made next to last album „Konvert“ will be titled „All You Need Is Hate“!!! Abortion is a Slovakian grindcore / mincecore band, whom have become quite well-known within the European grindcore underground. They began in 1989, under name Face of Death (or known F.O.D. ), and then in 1990 switched to the named Abortion. After few demo tapes, Abortion released their debut CD “Murdered Culture” in 1998. In the following year, a split with Belgian mincecore legends Agathocles was released, titled “We Never Forget”. Original guitarist Picass eventually left the band, but was soon replaced by new guitarist, Bibo.Next years is comming more records, eps and gigs.In 2011 he was kicked out of the band's drummer Charlie and the drummer took his place Miro (Respite, Empyrion). 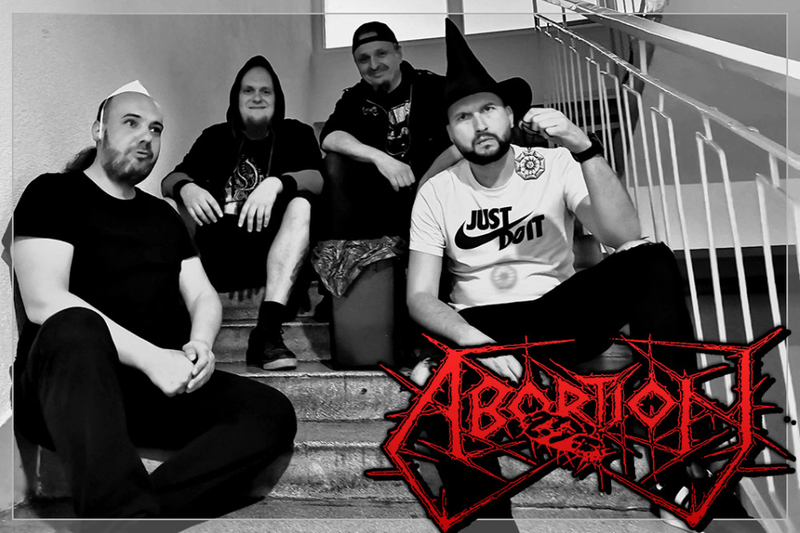 Abortion are still active, and continue to release more 7 inches and full-lengths under various labels throughout the world .he band concerts, records new songs and concerts again. Two concerts in Russia and the end of 2016 begins to record a new album "All You Need Is Hate". In autumn 2017 guitarist Ondro "Nyarg" Varga comes and ABORTION for the first time becomes a quartet for his existence!